PayGoCC was built to make it easy for you to integrate EMV credit card processing into your existing FileMaker Pro application. If you have intermediate to advanced FileMaker Pro knowledge, you should have no problem integrating to PayGoCC. 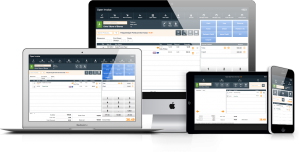 If you use a FileMaker-based solution and want our assistance with integration, please contact our sales team here. ***IMPORTANT: PayGoCC is powered with the Paygistix payment system. You will need a merchant account provide by Payment Logistics. You can learn more about that here. 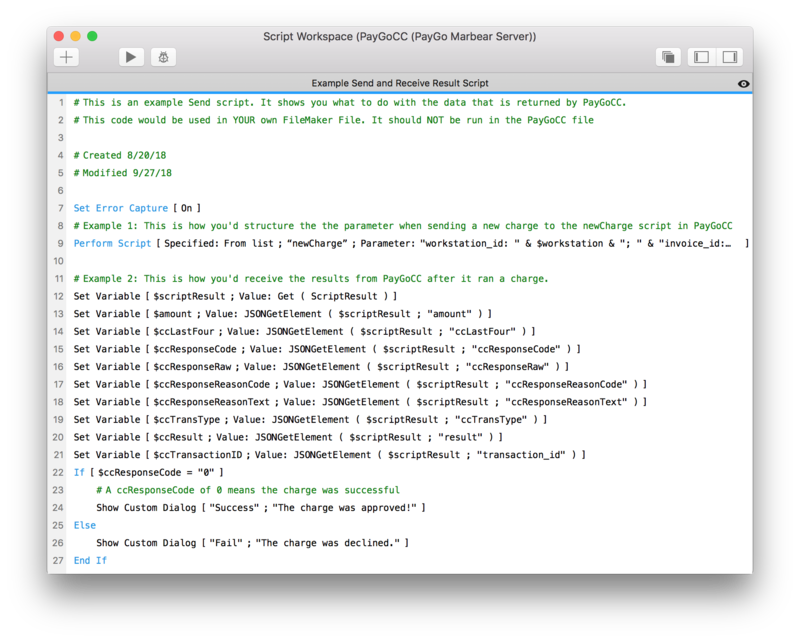 Place the PayGoCC.fmp12 file in the same directory as your FileMaker Pro 16 or FileMaker Pro 17 Advanced solution. If you’re running on FileMaker Server, please follow FileMaker’s instructions on uploading PayGoCC to your server. 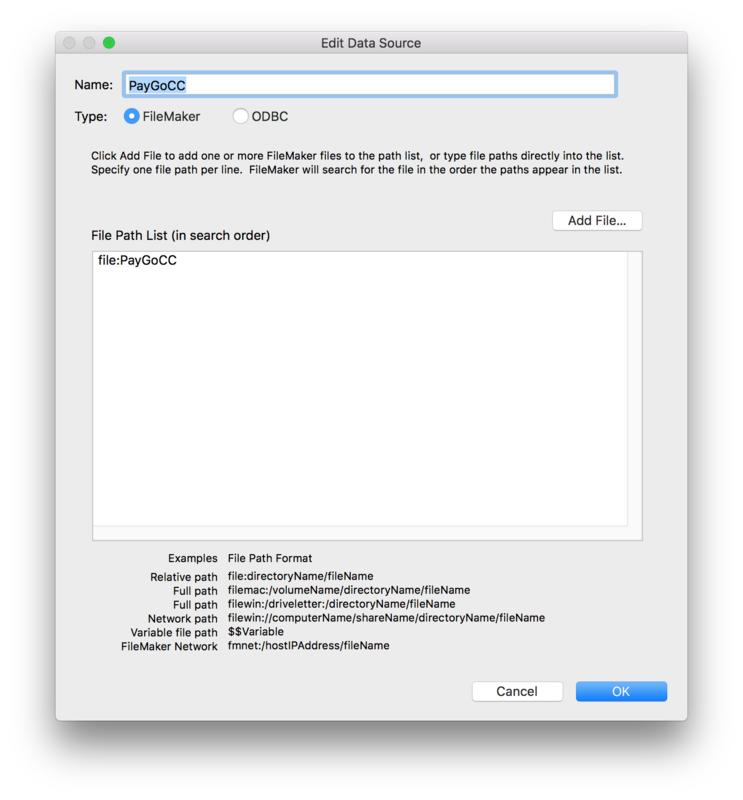 Login to your FileMaker Pro app and add PayGoCC as an External Data Source. PayGoCC will open using a general user name and password. If you’ve purchased PayGoCC with customization capabilities, you will receive a password which will give you access to edit layouts and various scripts. Lines 12 – 21 show you how to parse the data returned from the payment processing machine. IMPORTANT: A ccResponseCode of “0” (zero) means that the transaction was successful.